Talented 3D modeller Luis Carlos has brought to life an exact replica of the 3D printed mesh structure that dancer Sonoya Mizuno transforms into in The Chemical Brothers promo ‘Wide Open’ which is currently taking pride of place in The Mill’s London studio reception. I’m an Electrical Engineer graduate from the University of the Algarve in Portugal. Although my course had nothing to do with fine art, it is something I love getting involved in and try to include in all of my projects. I work on a number of personal pieces of work with close collaboration with a friend of mine Andreia Cabrito who graduated in Fine Art at the same university sharing ideas on art techniques to include in my projects. In truth, I was only introduced to 3D printing less than a year ago via a good friend of mine Aldric Negrier. I have built two 3D printers since then and now I can’t stop! I’m constantly creating artistic projects and innovating in the area of 3D printing. Why were you drawn to Chemical Brother’s ‘Wide Open’ and what inspired you to create the 3D model? When I first saw The Chemical Brother’s music promo “Wide Open” I instantly fell in love with it. Not just for the music but also for the artistic technology of the video and how it was created. 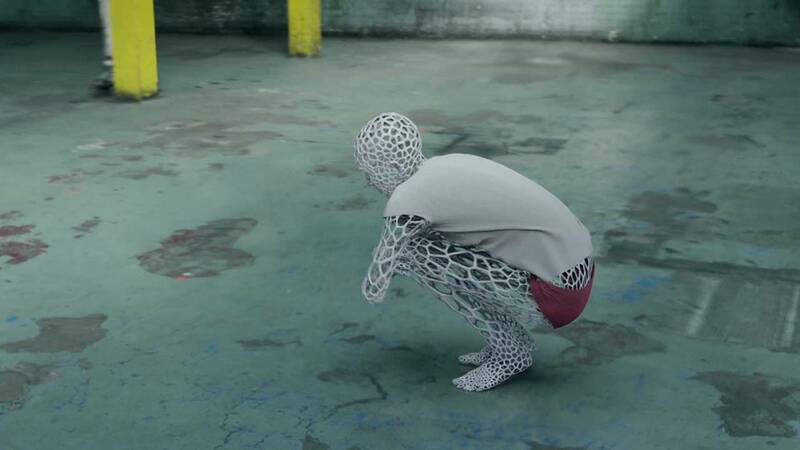 I had already created various very large 3D printing projects and when I saw this video, I felt like I just had to produce a 3D print of Sonoya, the dancer in the promo. Tell us a bit more about the technical process involved in the project? I actually used a 3D printer that I built from scratch. The standard printers on the market have a maximum print area of 20x20x20cm, but for this particular project I had to build one that could allow for eight times the normal print area. The structure was printed in ABS plastic as part of a process that took around 200 hours to create. After the printing was complete, I did some small touch ups to remove the imperfections of the print and also to join up all the elements of the model. The Chemical Brothers ‘Wide Open’ is a Mill collaboration with DOM&NIC, Outsider, Sonoya Mizuno, Wayne McGregor and Virgin Records.